SharePoint Online won't let you delete your site if there are still apps added to it. 1. Go to Site Contents. 2. 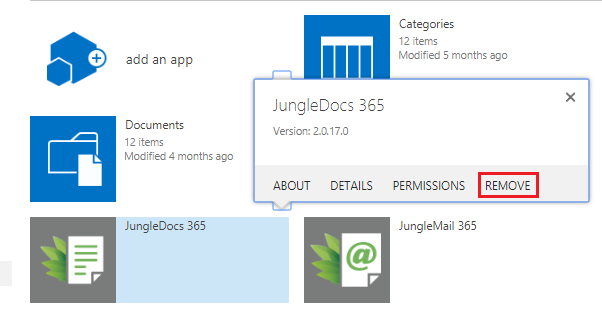 Remove JungleDocs for Office 365 and any other apps added to this site. 3. Now you will be able to delete your site.